The Authority Security Force (ASF) is the military wing of the Authority specializing in the containment of anomalies, security of facilities and personnel, and coordination of intelligence. All Authority-affiliated sites, mobile command centers, and listening stations are provided their respective garrisons to safeguard against potential internal and external threats. All inquiries and requests pertaining to the ASF and its activities are to be processed through central command. A security administrator of Site-063, conducting an exercise with recently deployed ASF personnel. Description: The Authority Security Force (ASF) serves as the first line of defense within numerous Authority installations, being able to rapidly organize and respond to isolated or site-wide situations, including containment, facility, and security breaches. While the majority of ASF duties are restricted to domestic settings, personnel may be periodically transferred (or request a transfer) to participate in field operations alongside MST units (Individual Augmentee (IA) program). Training of recruits (also known as the Authority Induction Program (AIP)) encompasses a period of nine months. During the initial three months, recruits will undergo several sessions of physical conditioning, weapons training, and coordination of logistics under the guidance of an experienced instructor and two assisting personnel. For the remaining six months, recruits will then begin the advanced phase of the induction program and begin development of various technical skills, including: advanced first aid, demolitions, and suppression tactics. Upon completion, graduating recruits will be provided their assigned locations proceeded by deployment. 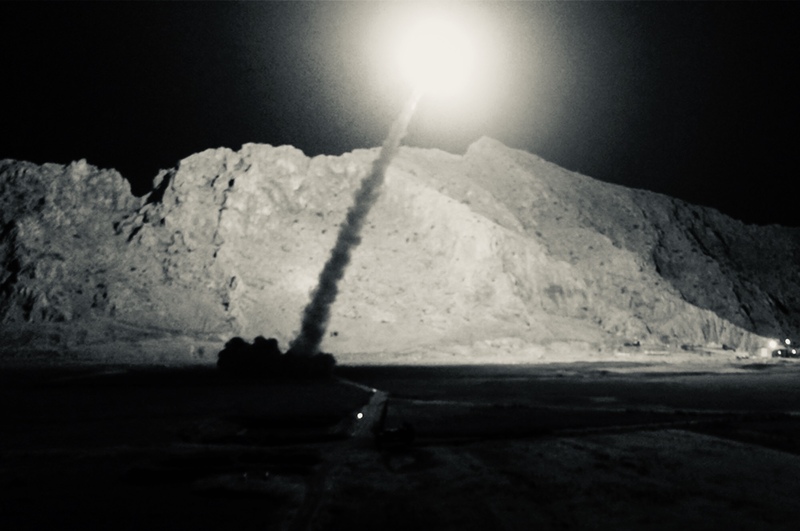 ASF personnel firing a ballistic missile on Church of Malthus insurgent positions during an attack on Site-091. ASF personnel mobilizing before proceeding on a routine patrol of Site-112's perimeter. 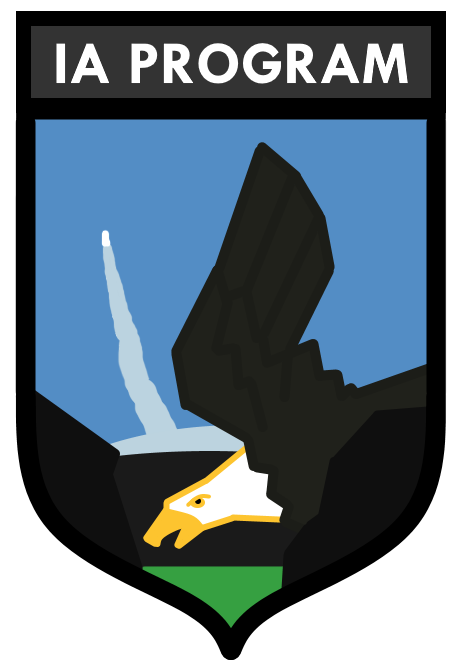 Personnel exhibiting meritorious service within the ASF may be marked for eligibility in entering the Non-Commissioned Officer Induction Course (NCOIC) to progress in rank, and will undergo further development of leadership and logistics training as well as observation of probationary and full-time personnel, with each level varying in difficulty from Sergeant through Sergeant Major. Non-commissioned officers may additionally be selected to participate within the Commissioned Officer Development Program (CODP), and, upon completion, be provided a commission to become an officer within the ASF. Individual ASF garrisons typically consist of a battalion-sized detachment (1,000-1,200 personnel), whereas select facilities, such as mobile command centers and listening stations, instead contain a company-sized detachment (150-200 personnel). All ASF personnel adhere to a centralized command structure. Individual installations will typically consist of senior commissioned officers serving as regional administrators in order to observe the organization, morale, and performance of garrisoned units. Administrative positions may be altered or extended under authority of central command. All ASF activities and operations are additionally subject to central command overview. Equipment: All ASF personnel utilize the following equipment pertaining to Authority standards as of ██/██/20██. FN SCAR-SC; chambered 5.56x45mm NATO ammunition. FN Five-Seven; chambered SS195LF 5.7x28mm ammunition. FN Minimi Mk III; chambered 5.56x45mm NATO ammunition (squad support). Mossberg 590; chambered 12 gauge (squad support). M40A5 sniper rifle; chambered 7.62x51mm NATO (watchtower/reconnaissance). XREP baton rounds (in development, distribution in progress). All issued equipment is catalogued and registered under their respective serial number. ASF personnel are ultimately responsible for the maintenance, functionality, and completeness of said equipment upon conclusion of their deployment. The Authority Security Force (ASF) operates in a multitude of functions to ensure both the security and stability of all Authority installations. Once deployed, ASF personnel are each provided their respective assignments and are categorized under a temporary probation status in order to accustom and develop their skills within their assigned environment before being provided full-time status. If you have exhibited interest in registering for the ASF's Individual Augmentee (IA) program in order to participate in field operations alongside MST units, please consult your commanding officer or security administration for the appropriate documents and submit your transfer request as soon as possible to high command. Once done, you are to wait approximately three days for a response containing the attached decision. If you have been accepted, you will be contacted by administrative personnel to acquire your check-in, briefing, and deployment times. Please note that entry into the IA program is final. Upon successful enlistment, you will be immediately registered as active-duty IA and are prohibited from requesting any unit or facility transfers until the completion of your required service hours. Basic Security Rotation (IB-100) consists of the majority of ASF personnel assignments and encompasses a number of positions within Authority installations. 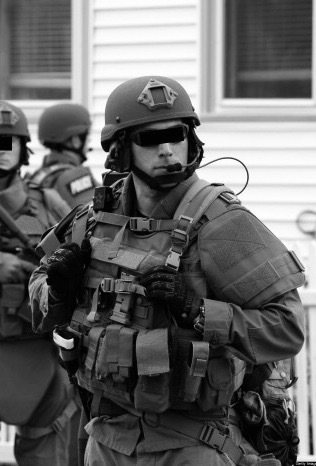 Assigned personnel are responsible for the surveillance, security, and protection of Authority resources and personnel. Locations consist of watchtowers, checkpoints, entrances, processing centers, and office blocs. Individual locations are observed and instructed by an assigned "Sergeant of the Guard" (SOG) in order to ensure the performance of duties and fulfillment of objectives. Personnel are to be routinely transferred between guard positions on a fixed schedule unless warranted otherwise by security administration or commanding officer. Base Logistics (IB-130) consists of various duties dedicated to the supply and armament of stationed ASF personnel. Assigned personnel are responsible for the distribution of equipment, management of supply manifests and contracts, and equipment maintenance. Security Hub (IB-230) consists of observation of the designated facility’s CCTV surveillance. Personnel are to monitor incoming feeds for events correlating to security violation, containment failure, or suspicious activity. Personnel are additionally able to relay commands to alert nearby ASF units of in-progress incidents, as well as utilizing the announcement system for site-wide notifications. IVT-Class Compliance (IB-235) consists of various duties pertaining to the cooperation of IVT-class subjects. Assigned personnel are tasked with the responsibility of patrolling individual detention blocks, escorts to containment or detention cells, inspection of cells for contraband, and suppression of hostile behavior. 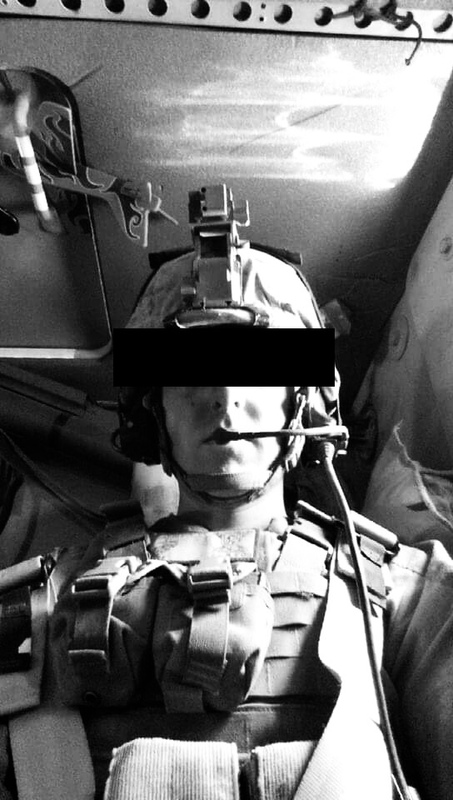 Additionally, personnel are to ensure that IVT-class subjects refrain from engaging in self-harmful activities, such as exhibiting suicidal behavior and participating in hunger strikes. Low-Level Containment (IB-230) consists of various patrols in containment sectors housing anomalous items or entities that pose no significant security risk or probability of escape. Personnel are tasked with guarding installations leading to and from individual containment chambers, as well as verifying the identities of incoming and outgoing staff. Personnel may additionally be dispatched to assist in securing areas required for experimentation or interview sessions. Hazardous Materials (IB-325) consists of operations in hazardous environments containing biological, chemical, or radiological substances. Personnel are provided specialized chemical equipment, consisting of a self-contained respirator unit with an independent air supply integrated into a sealed suit. Personnel are tasked with patrolling sectors that function in the containment or processing of hazardous substances and secure/evacuate affected locations in the event of leakage or rupture. Intake (IB-400) consists of the processing of incoming anomalous items and entities. 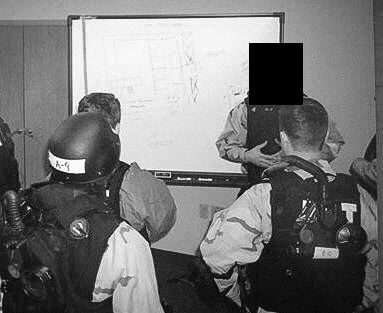 Personnel are tasked with assisting containment assets in ensuring the safety of staff as well as providing a contingent defense in the event of an attempted breach or containment failure. All personnel are additionally provided a tentative schedule detailing the dates of all incoming transfers. Required manpower is determined by the anomaly's threat level and classification; reserve teams are to remain on stand-by during processing. High-Level Containment (IB-430) consists of various critical roles in containment sectors housing anomalous items or entities that pose significant security risk or probability of escape. Personnel are to additionally perform strict identification and credential inspections of incoming and outgoing staff. Assigned personnel typically consist of experienced/veteran personnel, although additional manpower may be required if deemed necessary. Personnel adhere to a strict schedule in rotations between posts leading to and from individual containment cells, and are continuously evaluated by the presiding commanding officer in their performance; failure to meet expected standards results in immediate termination of current duties. The Authority Security Force (ASF) utilizes the Individual Augmentee (IA) program to permit volunteer (or assigned) personnel in operating alongside individual MST units. Personnel are provided a tentative schedule detailing their tour of duty with the option to extend their service at the conclusion of their deployment. Upon completion, assigned personnel are debriefed and promptly returned to their respective facility. IA unit patch utilized by assigned ASF personnel. Description: The Individual Augmentee (IA) program is an Authority-sponsored program that permits the off-base deployment of ASF personnel to participate alongside individual MST units. Induction into the IA program may be fulfilled either by volunteer or conscripted personnel. Accepted (or assigned) personnel are provided individual schedules detailing their orientation, processing, and deployment times. During this time, personnel are labelled as active-duty IA and are prohibited from requesting any facility or unit transfers until the conclusion of their deployment. 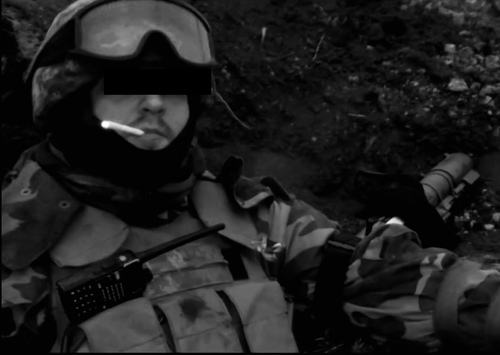 Individual Augmentee during a recontainment operation of RPC-███. During processing, personnel are provided a medical examination consisting of updating of vaccinations as well as hearing, vision, and physical assessments. Personnel are then ordered to requisition and exchange their current equipment for newly-provided gear pertaining to MST standards. In order to filter potential candidates, personnel will undergo various physical screenings managed by individual unit commanders; failing candidates will be promptly returned to their original facilities. If passed, personnel are given a predetermined MST unit and transported to their area of deployment. Individual Augmentee during a nighttime recovery operation. Once deployed, incoming personnel will then report to an orientation briefed by the presiding commanding officer(s) of the respective unit. Following orientation, all personnel will be placed under a probationary period of four weeks; a non-commissioned officer will regularly inspect the performance and morale of garrisoned personnel during this time. Personnel will primarily assume infantry duties to assist in large-scale military or containment operations. Personnel previously under select IB billets may be requested to serve as specialists in the event certain field roles are required. In order to receive an honorable discharge from the IA program, personnel are required to complete one tour of duty lasting over a period of seven months with the option of extending their service upon completion. Finally, discharged personnel will then be debriefed by their MST commander before requisitioning their loaned equipment. Following discharge, personnel will be granted a thirty-day furlough for leisure or other personal activities. During this time, off-duty personnel will be assessed by administration on their performance in involved operations. Individual accounts, such as that of a commanding officer's, are additionally read and processed into the assessment. Depending on the performance, personnel may be eligible for certain benefits such as: pay increase, facility selection, and/or meritorious promotion. Upon conclusion of their furlough, personnel will be reintroduced to their original duties, undergo additional training, and (if applicable) receive their appropriate benefit following a delivered notification. All post-service personnel will be registered as reserve-duty IA within the Authority database, and are eligible for remobilization into active service in the event additional manpower is needed to meet support requirements for operational missions. Census of recent applications submitted to individual administrations of Authority facilities have indicated a sharp increase of newly-inducted personnel as applicants. While it is very much appreciated to see several young, eager volunteers actively seeking to contribute to the Authority's operations, it is important to note that the IA program is not a guaranteed short-cut to receiving meritorious promotions. In order to prevent influx of personnel, screenings will be intensified to filter out incoming applicants; these screenings will continue to be overseen by MST unit commanders and advisors. Accepted personnel are expected to acknowledge the likelihood of operating within dangerous and/or hostile environments. Individual Augmentee is not a program dedicated to impressing its personnel into reservist or non-combatant roles; its primary function is to reinforce MST manpower during operations. 1. Due to the varying nature of Authority installations, certain assignments may not be provided.